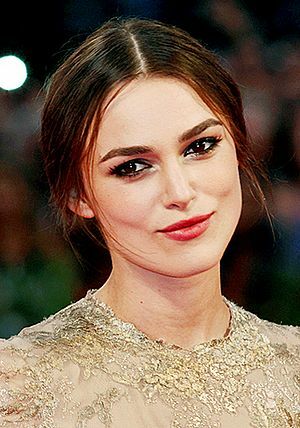 Keira Christina Knightley born 26 March 1985 is an English actress. She has worked in both the British and American film industries, and has starred in Broadway and West End theatre productions. She has received an Empire Award and multiple nominations for British Academy, Golden Globe, and Academy Awards. She was appointed Officer of the Order of the British Empire (OBE) in the 2018 Birthday Honours for services to drama and charity. 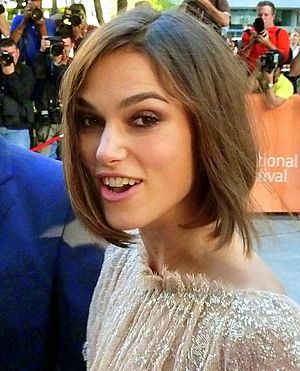 Keira Christina Knightley was born in Teddington, London, to theatre actors Sharman Macdonald and Will Knightley. Her mother is of Scottish and Welsh descent, while her father is English. Knightley has an elder brother. Her mother also worked as a playwright after her career as an actress came to an end. She introduced her children to theatre and ballet at an early age. This furthered Knightley's interest in acting. Knightley attended Teddington School. At the age of six, she was diagnosed with dyslexia but by the time she was eleven, with her parents' support and much tuition she got over it sufficiently. She is still a slow reader and cannot read out loud. Knightley was single-minded about acting during her childhood. At the age of three Knightley expressed the desire for an agent like her parents', she eventually got one at age six. This led to her taking a number of small parts in TV dramas throughout her childhood. While growing up, Knightley performed in a number of local amateur productions written by her mother and her drama teacher. She focused on art, history, and English literature while studying at the Esher College, but left after a year to pursue an acting career. Knightley has been in a relationship with musician James Righton, of Klaxons, since February 2011. They were married on 4 May 2013, in Mazan, Vaucluse. The couple have a daughter born in 2015. Knightley advocates equal paternity leave and has spoken about the expense of childcare in England. In October 2018, Keira Knightley revealed she had a mental breakdown at 22 and was diagnosed with post-traumatic stress disorder as she struggled to adjust to her sudden rise to fame. Knightley described how at one point she did not leave the house for three months. In 2008 Knightley had to have hypnotherapy to prevent panic attacks in order to be able to attend that year's BAFTAS. 2010 Never Let Me Go Ruth C.
Keira Knightley Facts for Kids. Kiddle Encyclopedia.